per-hour speed adjustments and the 0 to 10 degree incline adjustments provide the versatility to help you achieve your goals. 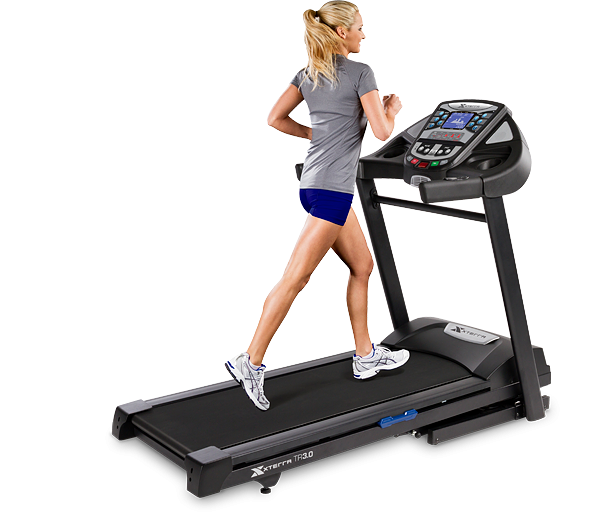 The Trail Racer 3.0 offers nine innovative and adjustable programs, including two user defined programs, to assure the treadmill keeps progressing just as you do. 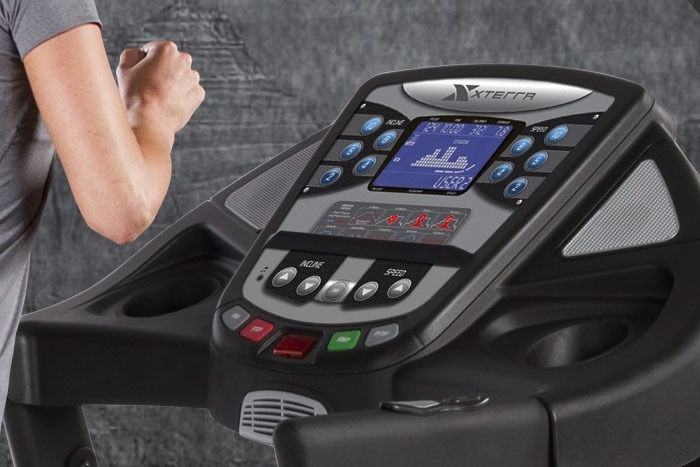 To keep track of your progress the Trail Racer 3.0 features a bright 6.5” Blue Backlit display, a large 8 by 20 segment dot matrix profile, a convenient ¼ mile track display, and seven types of exercise feedback. Take long strides on our expansive 20” x 55” deck.